Dozens of healthcare workers hoisted yellow flags with the words “solidarity” and “health care for all” inscribed across the front in a show of unity outside the main building of the Hospital of the University of Pennsylvania (HUP) on Oct. 10. The “rally for respect” was organized by Philadelphia’s District 1199C, an affiliate of the National Union of Hospital and Health Care Employees that represents hospital workers, including foodservice staff, according to an article in The Daily Pennsylvanian. The demonstrators work at the hospital, but are actually employed by Crothall Healthcare and Morrison Healthcare, both under the Compass One umbrella. Morrison Healthcare retains all foodservice employees. The workers are unhappy because their grievances were allegedly unmet by Compass One. They also allege that the company performed an “unfair” retroactive audit of paid or personal time off that the workers weren’t told about before it occurred, according to Salima Pace, organizer and union representative for Crothall at HUP. 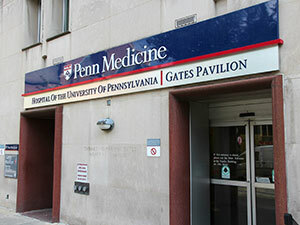 Pace told The Daily Pennsylvanian the union believes hospital administrators re-examined workers’ paid time off from 2005, and recalled pay as a result. The rally comes on the heels of calls by national labor advocates working for higher minimum wages across the country. Workers at hospitals, colleges and universities, and airports were urged by union advocates to walk off their jobs the first week of October in a show of support for organizing cashiers, cooks and other employees of quick-service restaurant operations. The coordinators, a union-backed advocacy group called Fight for $15, are specifically targeting employees of higher education facilities in Florida, childcare centers in California and everyone employed at a major healthcare center in Pittsburgh, the University of Pittsburgh Medical Center.